If you are waiting for PTCL Management Associate Program 2015-2016 then we provide you here PTCL One Year Internship Program 2016 NTS Test Date & Result. PTCL has announced another wonderful opportunity in December, 2015 for the Pakistani Nationals who are passionate to achieve the goal of success in life. 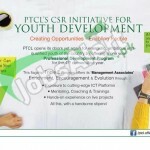 PTCL has announced new program with the purpose of youth development and for this Professional Development Program it invites energetic, ambitious and qualified youth of Pakistan. This internship is in different fields such as (Information Technology (IT), Business Administration, Finance & Accounting and Engineering). Candidates willing to apply should possess qualification above Graduation with minimum CGPA / Percentage: 2.80 / 70%, age of candidate should be between 18 to 25 years and study completion year should be 2014, 2015. Those candidates who have completed their education before 2014 are not eligible to apply. During this PTCL one year Internship Program 2015-2016 you will be on a path that would lead you to make your professional dreams successful, you’ll not only learn different skills but PTCL also give you reasonable amount during this Internship Program. PTCL will provide you such environment which would polish your skills and will make you able to define your future. In the following we’ll provide you complete how to apply procedure which is according to the rules of NTS because PTCL has authorized NTS to conduct initial test and it is compulsory for every candidate to pass it with good percentage for to qualify for further selection procedure. Information Technology (IT): Those who wanted to apply in IT field should be MCS, BCS (Hons), BE (Software Engineering). Finance & Accounting: Those candidates who wanted to apply in Finance & Accounting field should be MBA (Finance), M.Com, B.Com (Hons), ACMA, ACCA, CA Inter or 16 years equivalent degree / Qualification in (Accounts/ Finance/ Commerce) fields. Engineers: For this field candidate should have qualification BE/BS Engineering (Electrical, Electronics, Telecom, Computers). Candidate meeting all requirements are suggested to apply via online at the official site of NTS or through web link given below. Only online applications will be entertained for further selection procedure. Last date for Application Submission is 23rd December, 2015. NTS Test date is not announced yet but it will be available soon. Only shortlisted candidates fulfilling all requirements will be contacted. 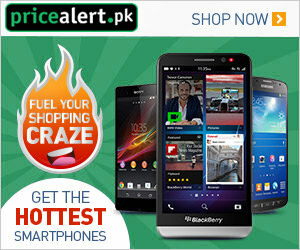 For more latest updates about jobs and internships please visit our site JobsAlert.pk. Last Date to Apply: 23rd December, 2015.